Work#3 | Web Design Portfolio | omigapun! 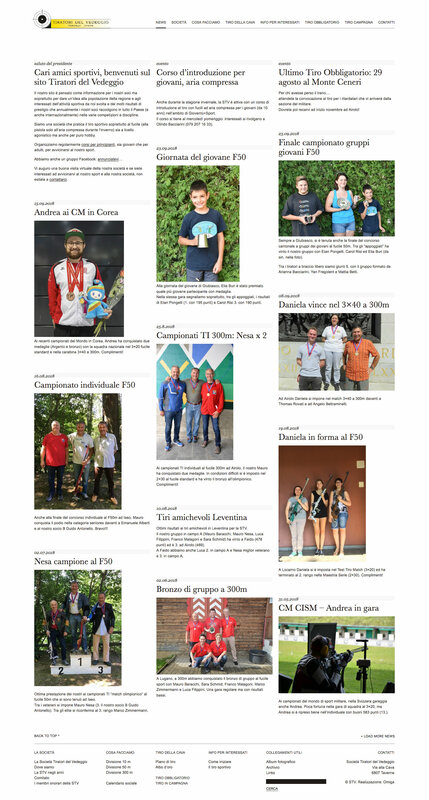 Together with STVedeggio's president Luca, we redesigned the club's website to popularise the shooting sport in Ticino and keep members updated with club's latest news. 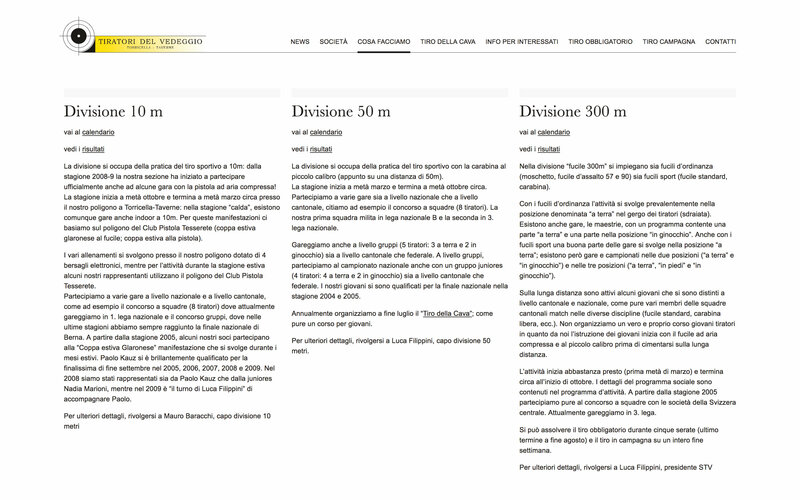 Abbiamo contattato Omiga per rifare integralmente la comunicazione web della nostra società sportiva. 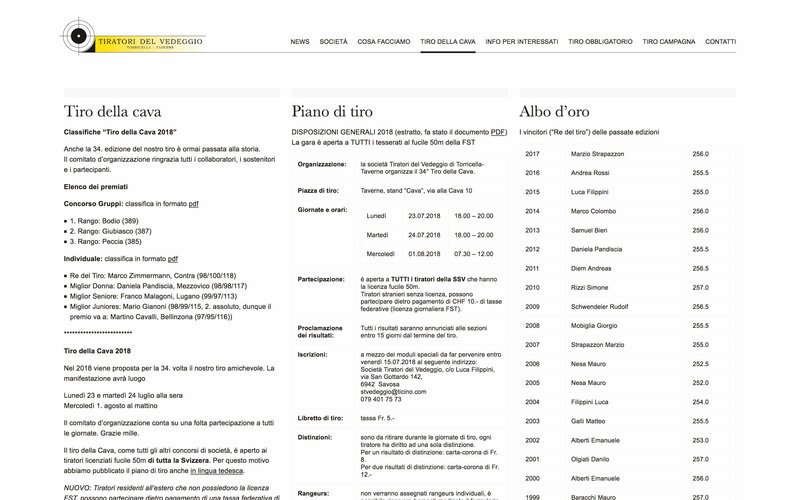 Abbiamo trovato una persona disponibile, collaborativa e con ottime idee pratiche di realizzazione. Siamo molto contenti della collaborazione che possiamo solo consigliare anche ad altri. View next project? Nah, I'm good. Let's talk about my project now! Because we know our business and care about yours. Magic happens when you and us we work together. We work in Lugano. You, you can be anywhere. Get in touch! Need hard proof we're cool? Hear what our clients say about us. Since 2009. Passionate as day one. Check our latest websites. Common questions about working together and privacy.